Halloween is right around the corner. I have already started watching my favorite Halloween movies. That includes: The Nightmare Before Christmas. This has been one of my favorite movies for as long as I can remember. 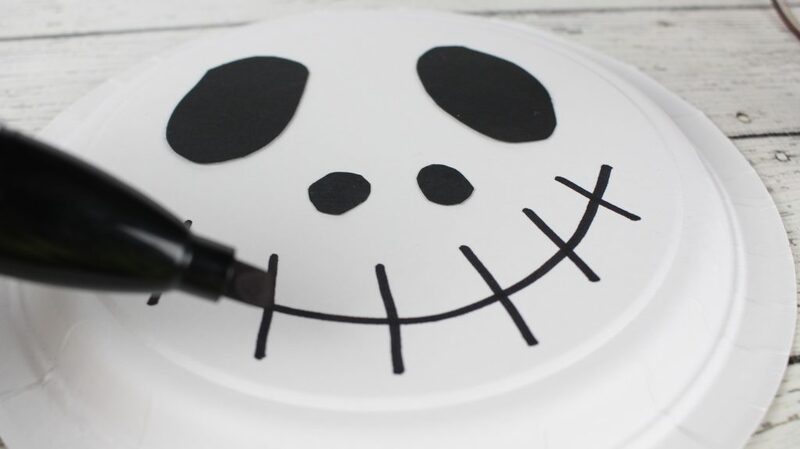 It has become such a cult classic over the years and that means that these days, you can find all kinds of Jack Skellington items easily. That doesn’t mean I don’t love making my own. 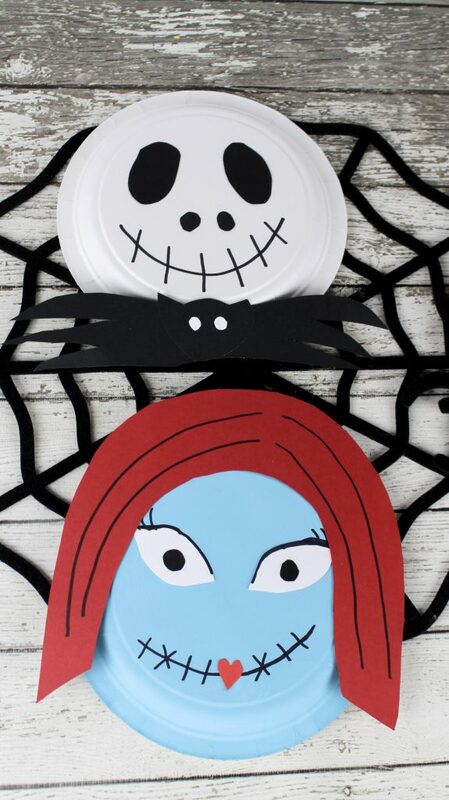 This simple Jack and Sally Halloween craft is sure to get you in spirit of the season! 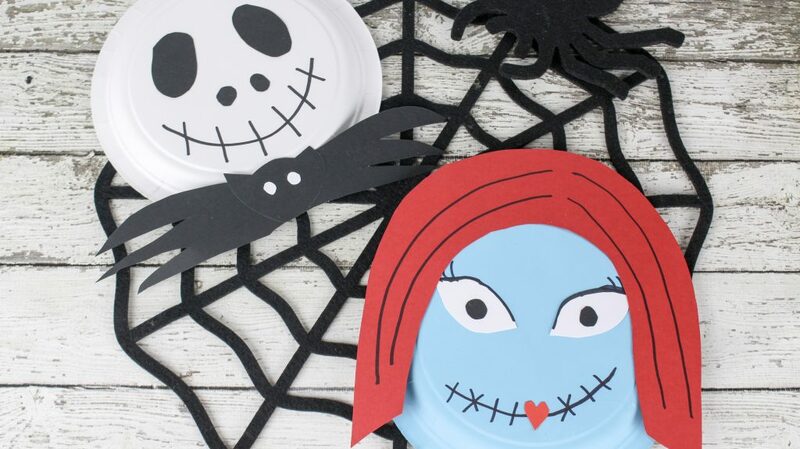 If you like this project, you may enjoy these other paper plate crafts. 1. 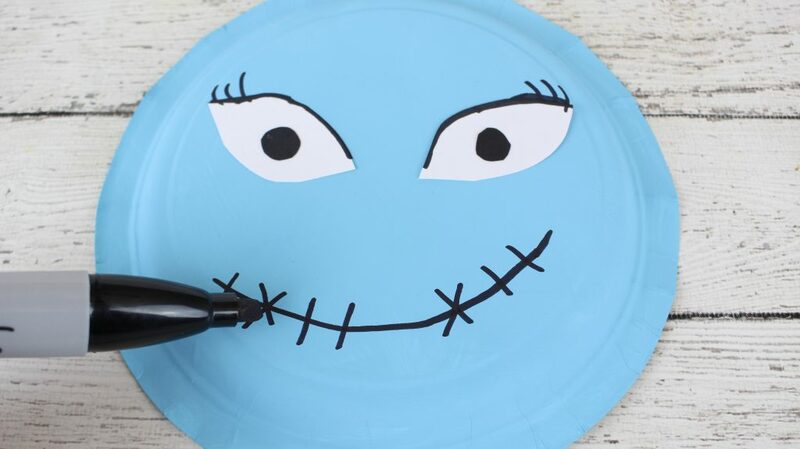 Paint the entire back side of the paper plate light blue. Set aside to dry. 2. For Sally’s eyes, cut out 2 football shapes (about 2 inches long) from the white construction paper. Cut out 2 small circles from the black construction paper, slightly larger than a pencil eraser. Set aside. 3. From the red construction paper, cut out a small heart to place on her mouth. Set aside. 4. 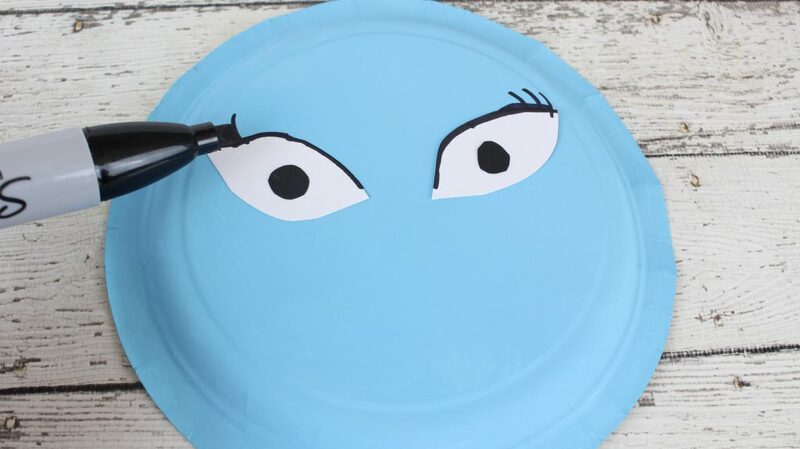 Apply glue from a glue stick on the back of both eyes and place on the paper plate. 5. For the eye pupils, apply glue to the back of both black circle shapes and place in the middle of each eye. 6. With the black marker, line the top of each eye and add 3 eyelashes at each outer corner. 7. Draw a smile with the black marker and place lines and a few “x’s” across the smile. Glue the small red heart in the middle of the smile. 8. 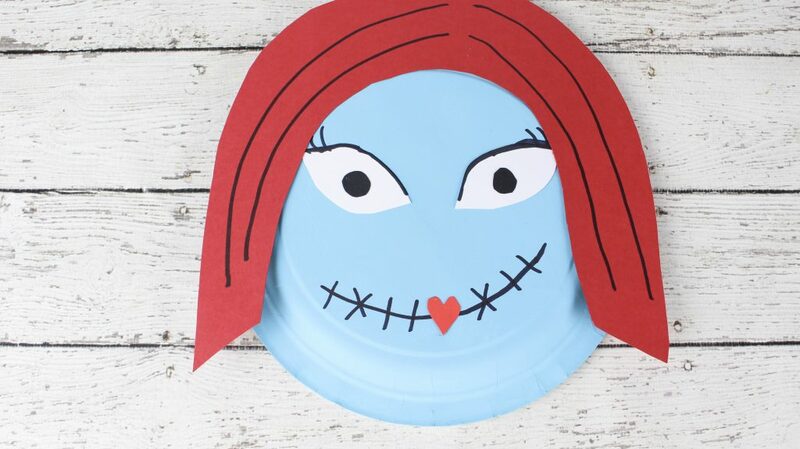 To make Sally’s hair, place the plate on top of the red construction paper and trace around it, leaving about a 1/2 inch space all around the plate. Cut out the middle. 9. With the black marker, starting at the middle of the hair, draw two lines going down on each side to represent Sally’s hair strands. 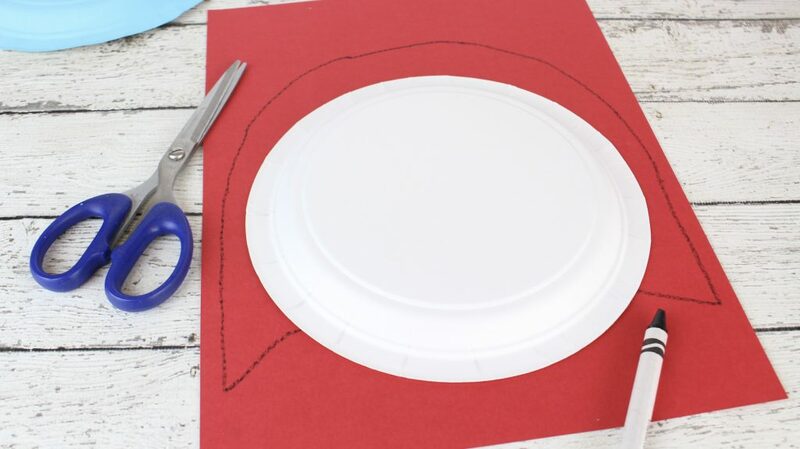 Apply glue to the back of the hair and attach to the paper plate. 10. That’s it! Say hello to Sally! 1. 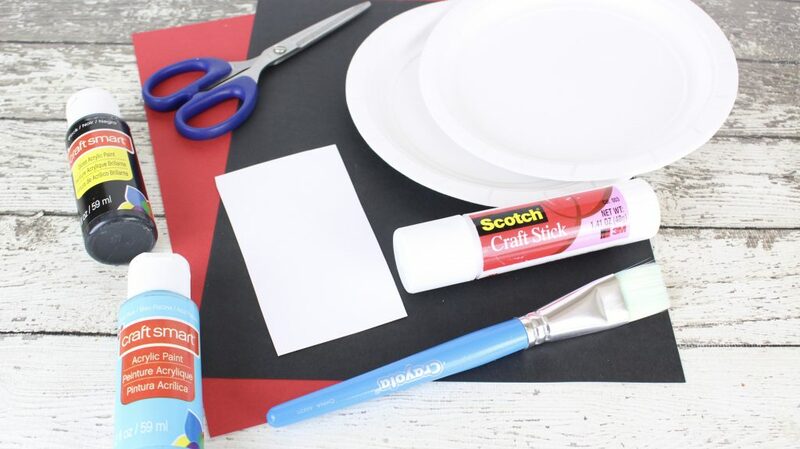 Place the white plate on top of the black construction paper as a guide to make Jack’s collar. 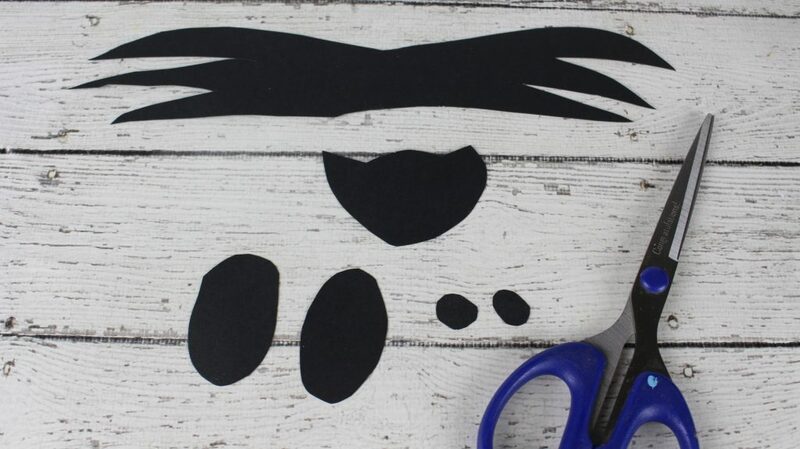 Using a pencil or white crayon draw and cut out Jack’s collar. Make sure it expands a few inches longer than the plate on each side. 2. Draw the head of a bat on the black paper. This will go in the middle of the collar so make it about a 1/2 inch taller than the collar. Cut out and set aside. 3. Also, from the black paper, cut out 2 large oval shapes for Jack’s eyes. Cut out 2 small oval shapes for Jack’s nostrils. 4. From the white construction paper, cut out 2 small circles for the bat eyes. Apply glue to the back of them and place on the bat head. Glue the bat head to the middle of Jack’s collar. Set aside. 5. Apply glue to the back of both eyes and place on the back side of the white plate. Apply glue to both nose nostrils and attach to the plate. 6. With a black marker, draw a smile towards the bottom of the plate. Draw 6 to 7 lines through the smile. 7. Glue Jack’s collar onto the bottom of the plate. That is a really cute idea. 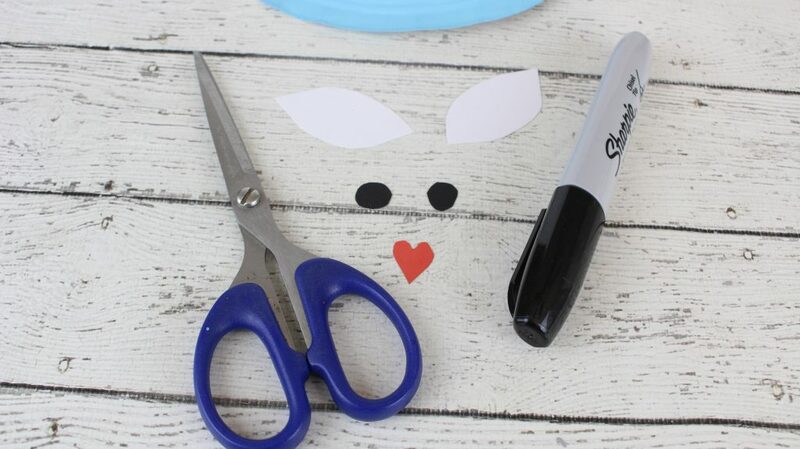 Great craft for the kids! This is such a cute Halloween Craft that I want to make. My kids would love to make this. Thanks for sharing. We are making this fun craft! This is a really cute halloween craft, I love it. This looks like a fun craft to do with the grandsons. These are so cute. We can make these and adapt them for any occasion.